I am honoured to now be a member of the Design Team for a brand new digital image designer that is just starting out. 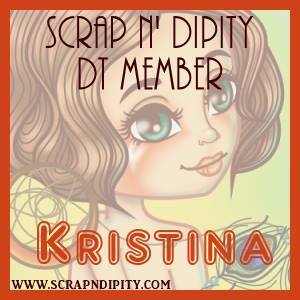 Her name is Alisha Robinson and she has started her own brand called Scrap N' Dipity. 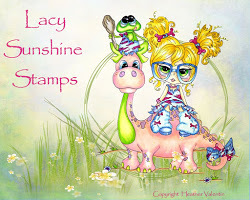 Her images are super cute and she does a new release every Friday! 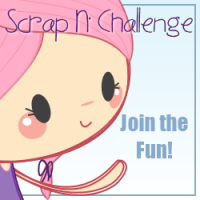 But for this week we are launching the brand new monthly Challenge on Scrap N' Dipity's challenge blog - Scrap N' Challenge! This month we are having a SNOWBALL FIGHT!! 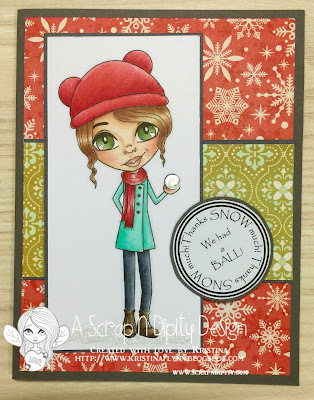 Scrap N' Dipity is offering Tanya - Snowball Fighter for free from January 15th - January 30th. In order to join in the challenge and get Tanya you will need to join our event through our Facebook Group here. Here is my card! The sentiment I made up myself and put together in Microsoft Word - sometimes you just want to make up your own words and don't have the right stamp that says the right thing. 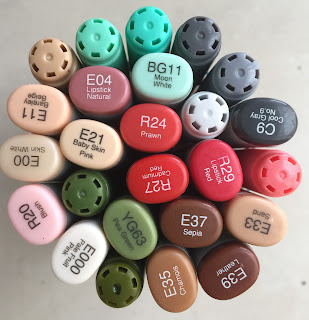 I have coloured her with Copic markers - below are the colours that I used. I love your colouring Kristina! 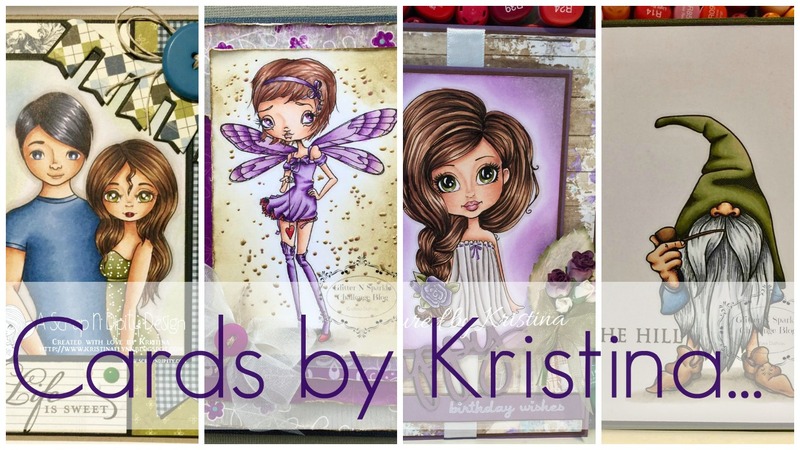 What a fab card and the colour scheme is gorgeous! Is so beautiful card!! The girl is perfect!